Are you a fan of Orange and Chocolate? If not, you’re about to become one! This is a Vegan Cake that is rich and moist and has a wonderful balance of the orange and chocolate flavors. My husband and I love our “traditional” cake made with butter, eggs, and milk, however, in my never-ending quest to make new recipes, I decided to give this vegan thing a try. I was thrilled with the cake. However, I then went and covered it with a whipped cream frosting, resulting in it loosing all the value of being vegan. If you’re looking for a great vegan frosting, head on over to my friend Lisa’s Blog for her recipe. Honestly, I’m only human and wasn’t really thinking it through when I picked this frosting. However, I LOVED the frosting! It was light and fluffy and the chocolate flavor was great! I divided this cake into quarters and gave 3/4 away and everyone who had some loved it! Do you love that zebra look inside? That’s from adding the cake batter a quarter cup at a time in the pan. Instead of marbling the two together, I added the batter in “rings” and it looks amazing on the inside! I love it! It was a great day with Orange and Chocolate came together to create an amazing flavor combination. Frost your cold cake with the Whipped Ganache Frosting and place it into the fridge. Peel your tangerines and set the "pretty" ones aside. Discard any that are ripped or disfigured. Melt you chocolate chips in a bowl and stir until smooth. Dip your tangerine segments into the chocolate, shake off the excess and place it on to a cookie sheet lined with wax paper. Do a majority facing the same direction (for the outer perimeter) and a few dipped in the opposite direction for the inner design. Remove the cake and add the chocolate dipped tangerines to the top of the cake. Add some candied orange peel to the cake as well. Get the full recipe for the Orange and Chocolate Vegan Cake HERE. Get the recipe for the Ganache Frosting HERE. Sugar Free Orange Peel Recipe HERE. 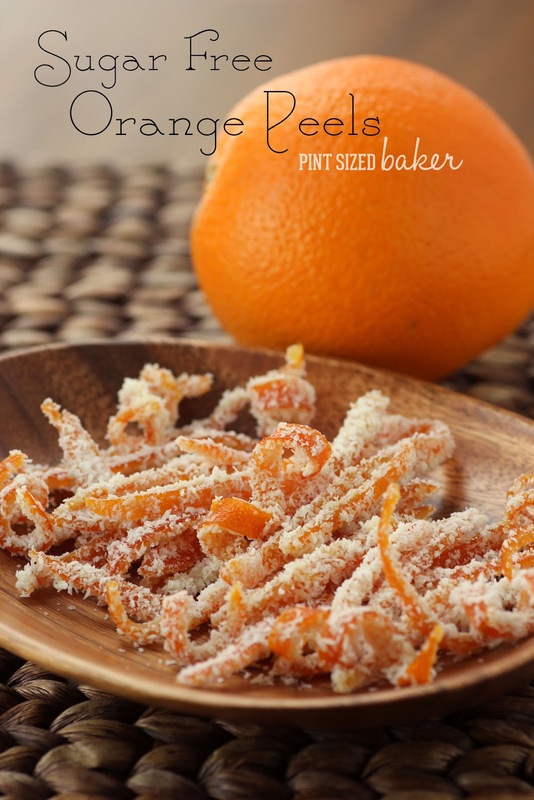 Recipe for Sugared Orange Peel HERE. You’re welcome. I remembered it from our Happy and Healthy posts. Glad you liked the cake! thanks so much Becca! We loved it! Yum! I love orange and chocolate. And I love that you made it zebra, it looks so pretty. Thanks so much. I was so pleased with the inside design. My husband likes chocolate and orange together – chocolate chip cookies with orange zest are one of this favorites. That sounds like some great cookies!! Yum! This cake sounds so delicious and looks beautiful!!!! I love this cake Karyn it is so gorgeous! That is such a beautiful cake!! And the flavor combo sounds incredible! Thank you. Everyone enjoyed it! I was very pleases with it. I do have a non picture related question for you though..how do you get that mailing list banner at the top of your website? I see them everywhere but am not sure what to call them or how to Google it. Thanks. Thank you. The bar is “Hello Bar” if you hover over the H in the upper right corner, it’ll take you to the website. Very easy to set up. Yay! Thanks! I’ve been asking myself this question for ages! thanks so much for stopping by. I almost didn’t add the peels. I wasn’t sure if it was getting too busy on top of the cake. Glad I put them on. Yum, I love the chocolate covered mandarin! Thanks for linking up at The Weekend Retreat! Hope tosee you back on Thursday! !